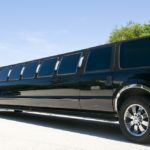 Montreal Limo bus: When should you think about renting a limo bus? Weddings are perhaps the ultimate occasion for which to hire a Montreal limo bus. 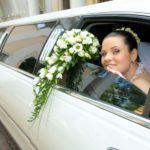 At Limousine Montreal, we offer distinct packages for weddings. They include, but are not limited to: red carpet service, a just married sign for the car, flowers, chilled champagne, a chauffeur in a tuxedo, and more. With everyone dressed in their best formal wear, a Montreal limo bus is a luxurious way to assure that every guest arrives on time, refreshed and ready to celebrate the day. Your guests will appreciate this extra-special touch. With a limo bus, everybody will be together! Limo buses are perfect for group outings. They get you there in style and allow you to have a lot of fun along the way. After all, why wait until you arrive at your destination for the fun to start. At Luxury Limousine Montreal, our limo buses are fully equipped comfort on wheels. We offer a wide selection of vehicles from which to choose — 24 hours a day, 7 days a week, every day of the year . So, whether you’re going to the Laurentien Mountains, or a simple day trip around town, we can provide the latest in a comfortable, stylish Montreal limo bus for you and your group. Renting a Montreal limo bus eradicates all of these problems. It can take your group from one destination to another seamlessly. Furthermore, being on a limo bus keeps the group together, offers a place to store gifts bought along the way, and allows you and your group to see much more than you would via other modes of transportation. 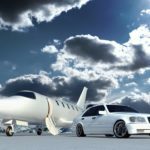 Through our affiliates, we can provide first-class transportation anywhere in Canada and the United States. Proms: Prom night means celebration. Renting a Montreal limo bus ensures that you and your friends arrive at your destination safely and in style. All of our chauffeurs are professionally groomed and attired. They get you to and from your event safely, and offer excellent customer relations skills . School Trips: Limo buses are perfect for school trips. If your school is planning an outing for its students to the museum, park, athletic event, etc., chartering a Montreal limo bus is the perfect transportation option. Camping Trips: Montreal is surrounded by some of the most beautiful wilderness on earth, as witnessed by the nearby Laurentien Mountains. If you and your group are planning a trip to explore the wilderness, our limo buses are equipped to get you there. 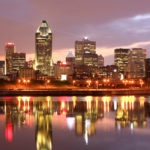 Day Trips: Speaking of day trips, renting a Montreal limo bus is the perfect mode of transportation for day trippers, for several reasons. So, if your group is planning an outing, hire a limo bus; that way, you can relax and enjoy the day, without worrying about travel logistics. - We provide best value with the best possible rates! - Our Limo Services are always on time. - We have a Large selection of luxury vehicles ready to service you. - Our chauffeurs are licensed and trained.